Hello everyone! 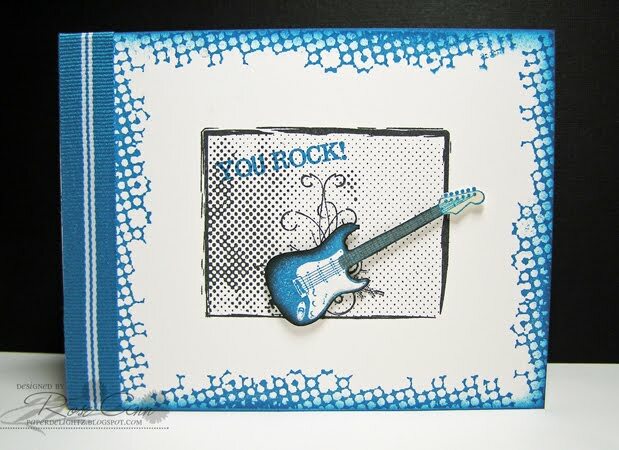 I needed another masculine-type birthday card, so I used my Live Life Loud stamp set once again. (I just LOVE all of the images in this set!!!) I have pretty much CASE'd this card that Cammie made, cause I loved it so much. What do you think?? I think it's very perfect and wonderful. I've got a PTI set that's similar. Will save for future reference. love this! Perfect teen card. perfect masculine card, love it! VERY Cool guy card Rose Ann. Neat image & great background!! Fabulous! LOVE that blue!!! GREAT masculine card for sure! Love this one! What a neat border! Oh I love the colors on this one, Rose Ann! 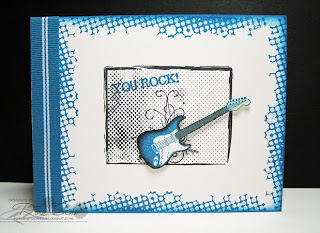 That is a cool stamp set - I really like the different textures on the stamps - so neat!